You can now purchase downloads of the Both worldwide! The Both's Self-Titled Album Out NOW on SuperEgo Records! 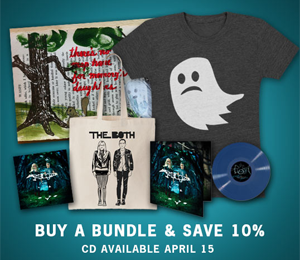 Now you can Order The Both CD, LP, t-shirt, poster and tote bag at Music Today. Also only available at Aimee's MusicToday store is a limited edition print, individually hand printed, signed and numbered by Aimee and Ted!